Are the recent free Star Wars games worth your time (and money)? 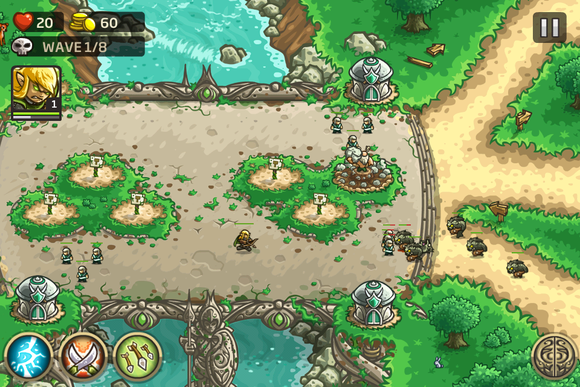 The Kingdom Rush series has been a staple of iOS tower-defense fans’ diets for about four years now, thanks to its cartoonish artwork with an intuitive battle system, numerous humorous nods to other media, and an ever-increasing rewarding set of challenges. 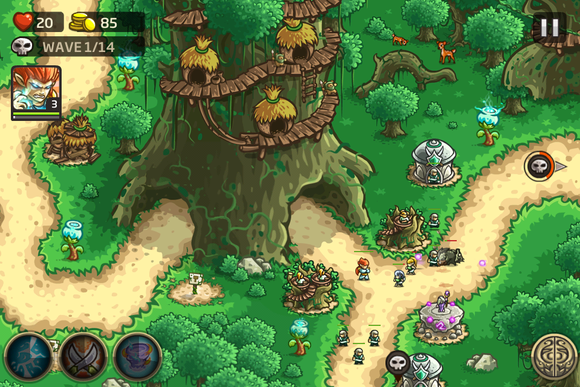 The latest entry in the series, Kingdom Rush Origins, further sharpens the enchanted blade—giving players more maps, heroes, and towers to unlock. Not much has changed from the last go-around— 2013’s Frontiers—except the focus has narrowed, giving the units and the level-design a more streamlined, organic feel. While it feels like more of the same, developer Ironhide Studios proves they’ve learned a thing or two in the last three years. Not convinced? Here are three reasons why you should stick with the series and play on. 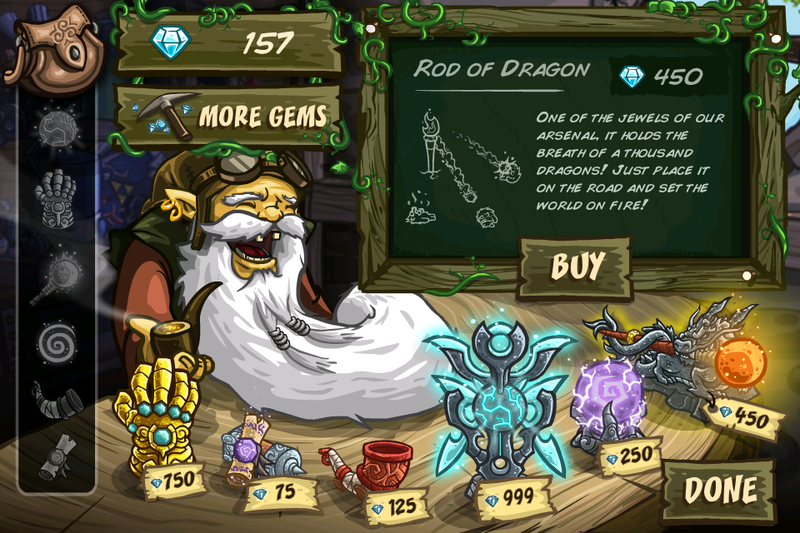 Dragonfire is just a click away: The biggest change the series has undergone in this release is the increased focus on heroes and special abilities. The Kingdom Rush series started out as a fairly conventional tower-defense game: you build your towers, upgrade them, and hope to hold off the enemy waves. But Rush introduced heroes—singular units you could upgrade (and buy, using real money) and deploy that could swing a battle if deployed at the right choke point. Frontiers gave you more heroes, and the gameplay increasingly relied on them (somewhat overly so). Heroes, like Eridan the ranger, can swing a battle's outcome with his powers. With Origins, the balance seems much more reasonable: heroes are important and have different abilities, but a good economy and selection of towers will do just as much. In Origins, the controllable powers the hero grants you are now situated next to your own powers, giving you a much more intuitive interface for controlling your troops. Now, casting lightning or your hero’s arrow-storm is only a click away. And Origins has a new set of obscure, ridiculous-but-clever bonuses you can buy using in-game currency (have enemies go back in time, unleash dragonfire, etc). Go to town. Original story? No. But origin story? Yes: Instead of telling a high-fantasy story complete with humans, dwarves, goblins et al, Origins instead focuses mainly on one race of the JRR Tolkien tradition: elves. While not exactly groundbreaking in its story, characters from the earlier games make cameos and the campaign doesn’t have a weak stage. The potion shop gets bigger and more ridiculous. Buy these bonuses with in-game currency and increase your odds of success. Instead of playing the aggressor, you’re tasked with defending the falling elvish empire from gnolls and dark elves. The gnolls play like standard baddies in the Kingdom Rush lineage, while the dark elves behave like the lizard people in Frontiers: you’ll have to deal with their teleporting, curse-inducing, arrow-slinging villainy. The elves have some great new towers to tinker with: stone throwing trees, high elven magicians, and of course, the best archers in fantasy lore. The level design has improved dramatically over the course of the series, with richer, complex (and dynamic) stages. 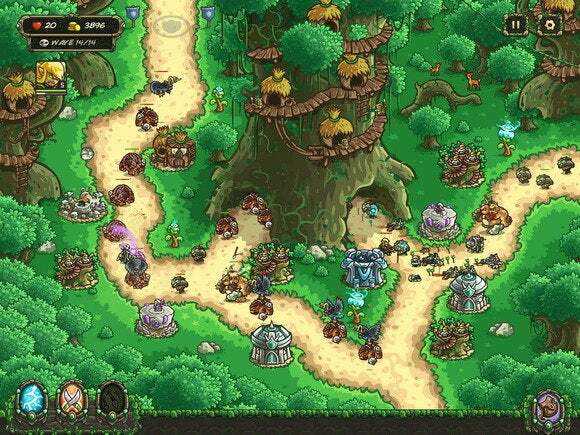 Origins may not be a reinvention for the series, but it’s so sharp and interesting in just the right places that this might be the best Kingdom Rush to date.